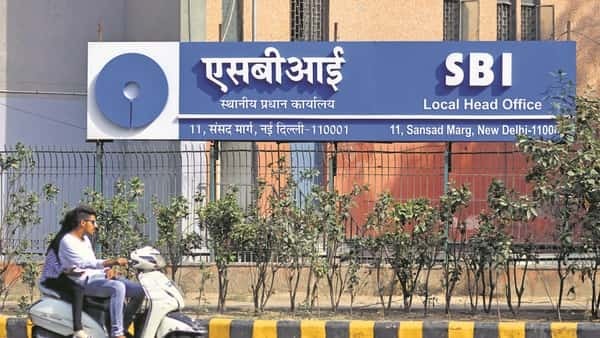 Mumbai: In a first, State Bank of India (SBI), the country’s largest lender, has linked savings account deposit and short-term loans to an external benchmark rate—repo rate. Repo rateis the rate at which the central bank lends to commercial banks. From 1 May, savings bank deposits with balances above ₹1 lakh will be linked to repo rate (6.25%) minus 2.75% with an effective saving account rate of 3.50% per annum. In case of lending, all cash credit accounts and overdrafts with limits above Rs1 lakh will be linked to the repo rate plus a spread of 2.25%—to 8.50%. The bank also mentions that the risk premiums over and above the floor rate of 8.50% would be based on the risk profile of the borrower. Will deposit and loans be impacted directly? According to Rajnish Kumar, chairman, SBI, only 5% of the customers will be impacted from the change. “Our 95% customers will have stability of the interest rate. The impact will be only for individuals with deposits over ₹1 lakh and above. The impact on number of credit customers will be more. No retail accounts will be impacted. Only wholesale or corporate account will see a change. The variable rate becomes applicable only to the running account which is cash credits and over drafts,” said Kumar. The bank believes that retail customers should not be exposed to market risk and they need stability in interest rate, hence, in order to insulate the small deposit holders and small borrowers from the movement of external benchmarks, SBI has decided to exempt savings bank account holders with balances up to ₹1 lakh and borrowers with CC or OD limits up to ₹1 lakh from linkage to the repo rate. “Retail customers should not be exposed to the market risk. Corporates can always hedge and plan their cash flows better. Home loan borrowers are more concerned about the stability of their EMI (equated monthly instalment). If their EMI fluctuates with repo rate, it will not work,” said the SBI chairman. The Reserve Bank of India (RBI) is currently considering whether to do away with marginal cost of funds based lending rate (MCLR) and link all loans to external benchmark rate. SBI’s move to link certain loans to repo rate will indirectly bring down your loan rates linked to MCLR but the quantum will be lower. “Due to the repo rate linkage, MCLR will see an impact though not by straight 25 bps because we take weighted average cost of fund. But there will be a movement of 5-10 bps in MCLR on both side. The quantum will be less,” said Kumar. The impact is due to the substantial weightage of savings deposit rate on MCLR.